Atlantic City police shut down the Fox Manor Hotel, located at 2707 Pacific Avenue. 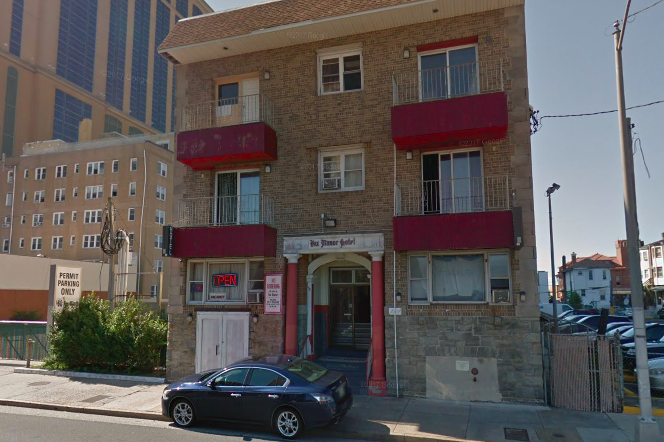 Authorities in Atlantic City took swift action on Thursday to shut down a nuisance hotel that had racked up more than 70 code violations, city officials confirmed. The Fox Manor Hotel, a 46-room property at 2707 Pacific Ave., was forced to close after Atlantic City police and code enforcement officials descended on the property, according to The Press of Atlantic City. The closure reportedly occurred while more than 25 guests were still staying at the hotel. They were given a 48-hour notice to leave the property, which was deemed "unfit for human occupancy." Police said they had been receiving a high volume of calls to the property over the past year, noting that the area has become an increasingly crime-ridden zone between Pacific and Atlantic avenues. A call to the Atlantic City Department of Licenses & Inspections to determine the nature of the hotel's code violations was not immediately returned on Thursday afternoon. Property owner Sean Reardon told The Press of Atlantic City he intends to renovate the building and ideally reopen it within the next year. The discount hotel was located nearby two other smaller hotels, El Dorado Motor Inn and TRYP by Wyndham Atlantic City, and last month the resort town welcomed two new deluxe casino hotels – Ocean Resort and Hard Rock.